Don’t miss this screening of Oscar nominated for Best Documentary Feature Murderball at Bermondsey’s Shortwave Cinema on Thursday 19 May at 7 pm. Like any other great sports story, Murderball features fierce rivalry, nail-biting suspense, athletic prowess, incredible personalities and triumph over daunting odds. But it’s much more than a sports doc, it’s a film that uses sport to look into the lives, hopes and fears of young men who have been told they would never walk again. 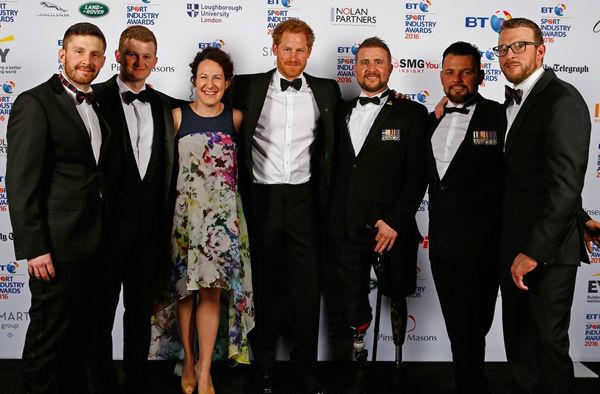 Following The Documentary Club’s screening of Murderball on 19th May, we’ll be holding a Q&A with Stuart Robinson (aka Legless Robbo, that’s him to the right of Harry below). Stuart was serving in the Royal Air Force Regiment in Afghanistan when he was injured by an IED and had both legs amputated. That was 2013. As you read this he’s in the States, competing in the Invictus Games as captain of the UK Armed Forces Wheelchair Rugby team. Stuart will be answering questions about the film and his personal experiences in the bar at Shortwave directly after the screening. And we’ll be donating any profit from this screening to Stuart’s Team Legless project.